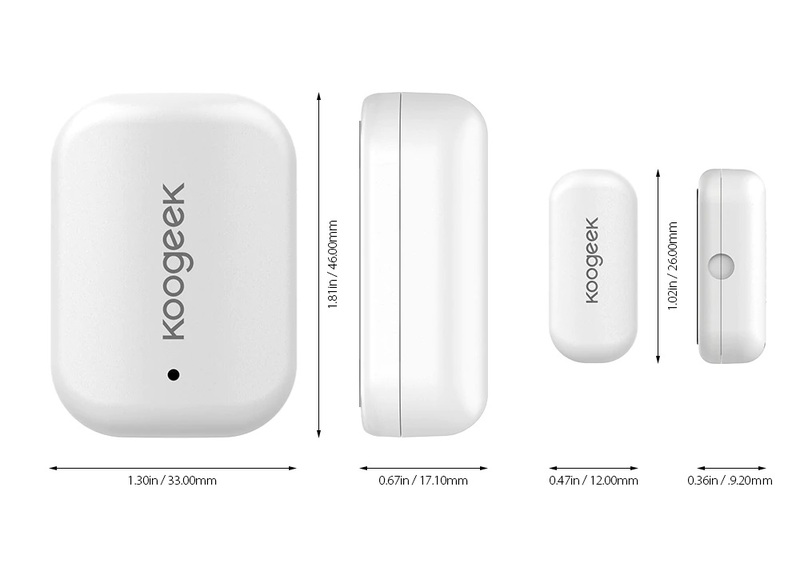 Koogeek has presented us with a series of very useful products for our life, as is the case of the Koogeek Arm Blood Pressure Monitor, and in this opportunity, the brand takes a step forward to guarantee us greater control over our home with the Koogeek Door Sensor, which right now has a 33% discount on the Amazon store. 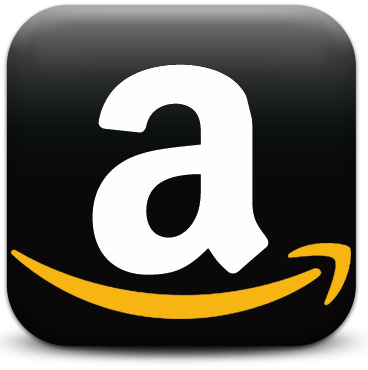 If this is what you need, we invite you to stay with us to know the benefits of this product. 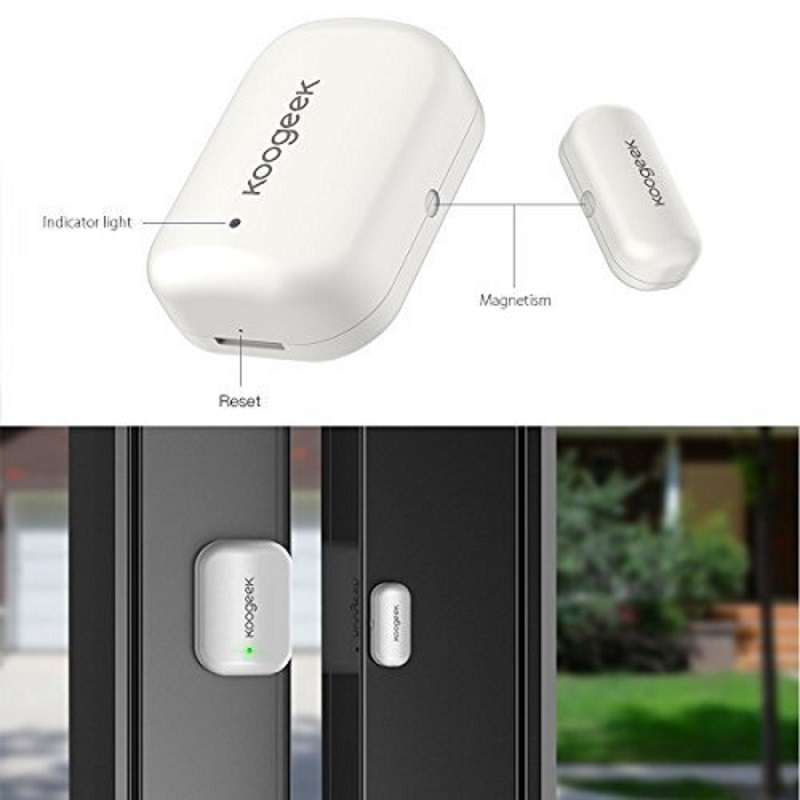 The Koogeek Door Sensor has a minimalist design, presenting a size suitable for any environment. 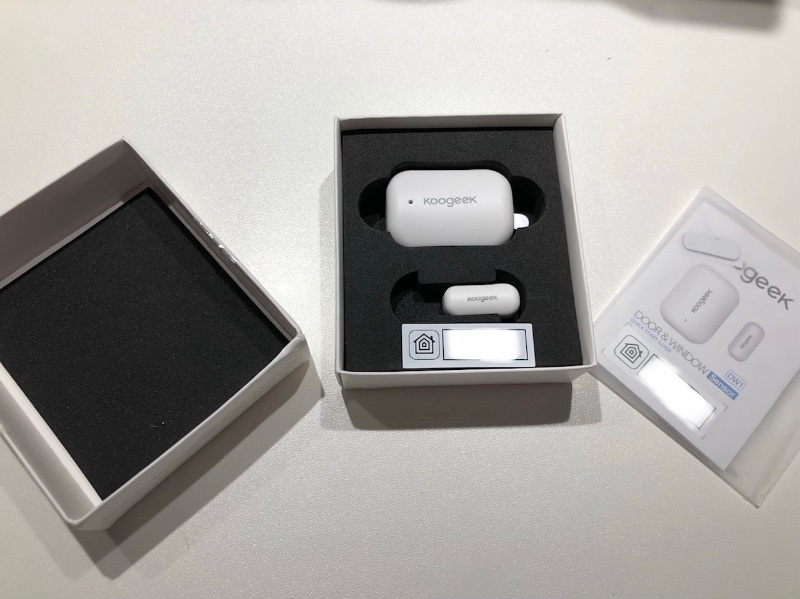 It consists of 2 devices with an appearance of an aspirin, one larger than the other, both are white and the only thing we can see at first glance is the Koogeek logo and a small LED light that indicates that it is working. 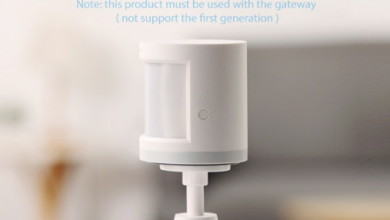 Looking at it more closely, in the lower part there is a slot that features a reset button, likewise, the pieces have a magnetic sensor and the distance between the two parts must be 1.5cm. These are made of polycarbonate + ABS, offering a very high resistance effect, therefore, it is protected from any impact or fall that could suffer. On the other hand, these 2 devices have different dimensions, the first of these has 46mm in length, 33mm in width and 17mm in thickness, while the second has 26mm in length, 12mm in width and 9mm in thickness, thanks to this, we can locate each one in the most convenient place, either in the door or the window. Both parts have a small sticker that is placed on the back and allow us to place it on any surface without having to make any changes. 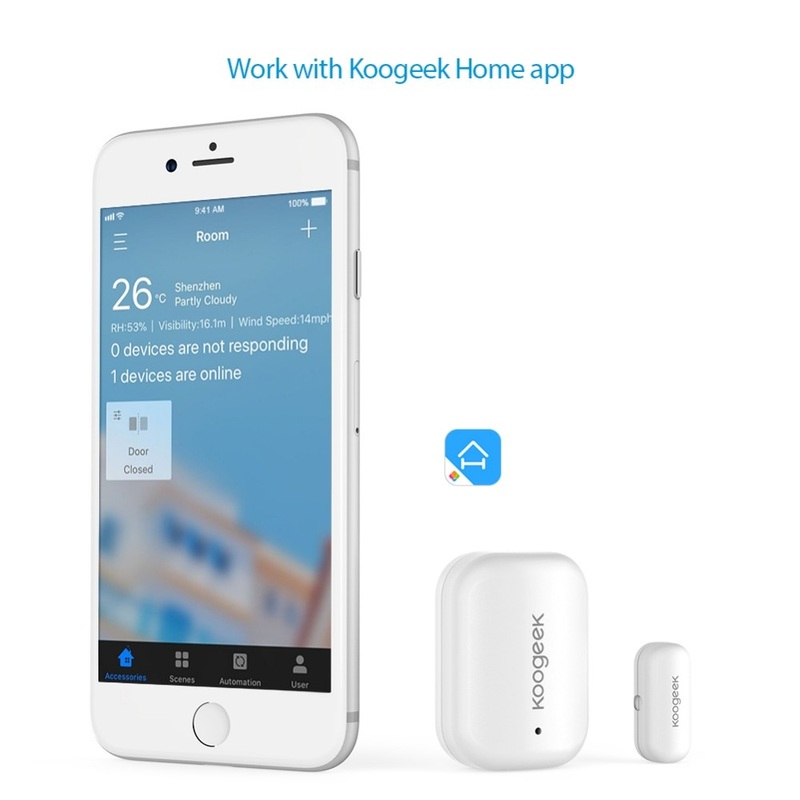 In general, this product guarantees us 2 functions, the first is oriented to comfort, these devices can be synchronized with the Koogeek or apple home application, linking other enabled products with Koogeek or Homekit, for example, you can program the activation of a bedroom light when you open the door at a specific point, therefore, it will send a signal to them when they are activated, indicating that they function the way we have previously indicated. 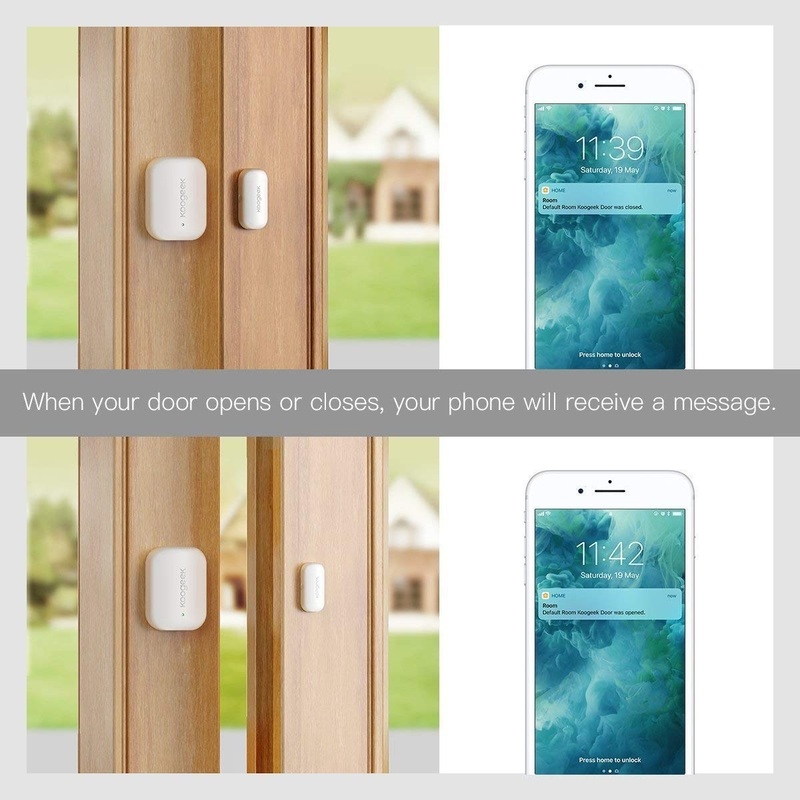 The other application is security; when a door or window opens, it will send a notification to our Smartphone and in this way, we will know that something is happening in our home. Finally, the product contains a 3V CR2450 lithium battery that can be used for 2 years. 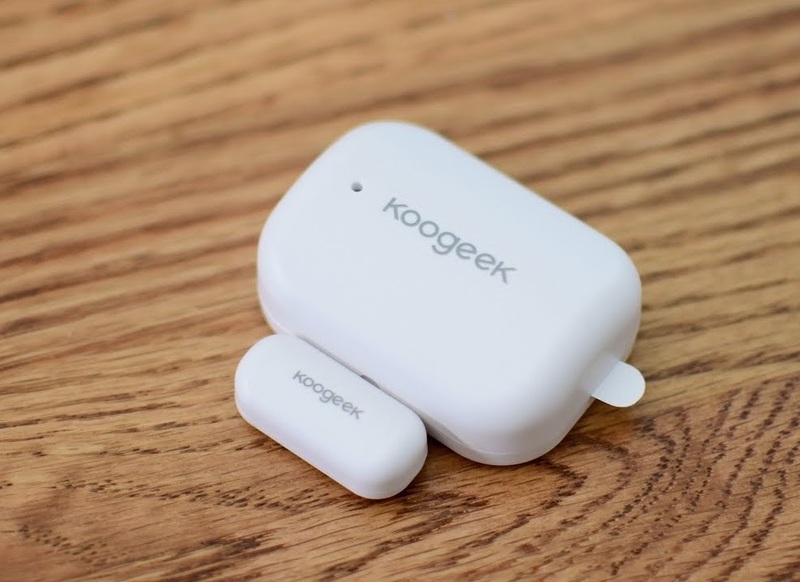 The Koogeek Door Sensor can be synchronized with our Smartphone through the Koogeek or apple home application, which can be downloaded from the Google Play store or the Apple Store, is compatible with both Android and iOS. By being synchronized we will access a bigger range of functions such as those mentioned above.